This morning the farmers market showed me once again that it is not clear which season we're in!!! The transition seems to take an unusually long time and daikon and cabbages were lined together with strawberries and new wasabi leaves. 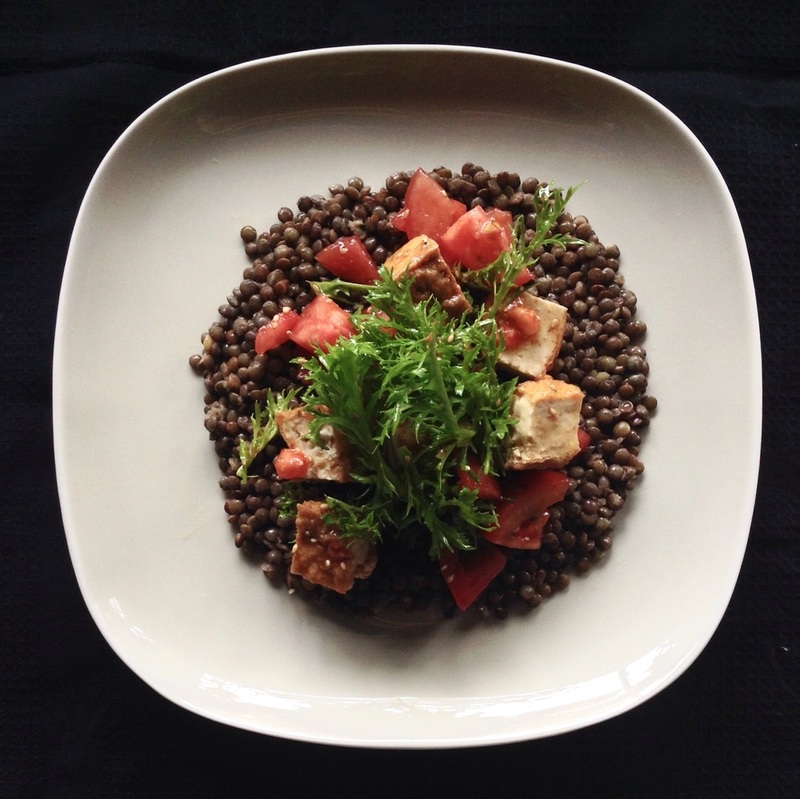 It gave me the idea to prepare us a warm/cold salad with warm green lentils from France and thick fried tofu, fresh tomatoes and wasabi leaves, with an olive oil and soya sauce dressing and finished with a few sesame seeds!